When local commerce startup Zaarly set out to create specialized home pages for people selling goods and services, the company had plenty of digital expertise to draw from. But part of its homework was decidely old school. In San Mateo, CA, a city just south of San Francisco, the startup with high-profile venture capital backers joined the local chamber of commerce—and got an education in what small, local businesses really need. That combination of old and new was key to Zaarly’s development of Storefronts, special sections of its site that highlight local bakers, music teachers, artists, and other small business owners looking to make a buck. The addition was a big change for San Francisco-based Zaarly, one of the much-heralded startups attempting to claim some market share in small, local online sales from more established companies like Angie’s List and Craigslist. 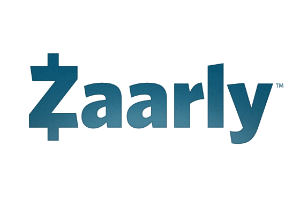 Previously, Zaarly had led with the buyer—the first versions of its service allowed users to place bids for things they wanted, giving other individuals or mini-entrepreneurs a way to collect small jobs. Need someone to mow your lawn? Put up a price, and someone could come along and claim the cash. By featuring sellers, however, the startup thought it could drive further toward its mission of helping people create their own local commerce network. Several weeks after getting its Storefronts seller profiles in place, Koester says Zaarly is seeing positive changes. People are spending more time on the site, business owners are spending time promoting their profile, and the volume of purchases per user is up. “We’re seeing higher numbers across the board,” Koester says. “What this has proven to us is that local commerce is driven by local connections,” he adds. And for any digital service that puts a premium on location, mobile networks have to play a big role. That’s why we’re excited to be bringing Koester to New York next week for Mobile Madness, our premier year-end conference examining the latest trends in mobile commerce, advertising, and much more. Tickets are available now, and they’re going fast.